We crossed the road from Bodegas Tondonia and were immediately met by winemaker Jorge Muga, who invited us into his family winery. 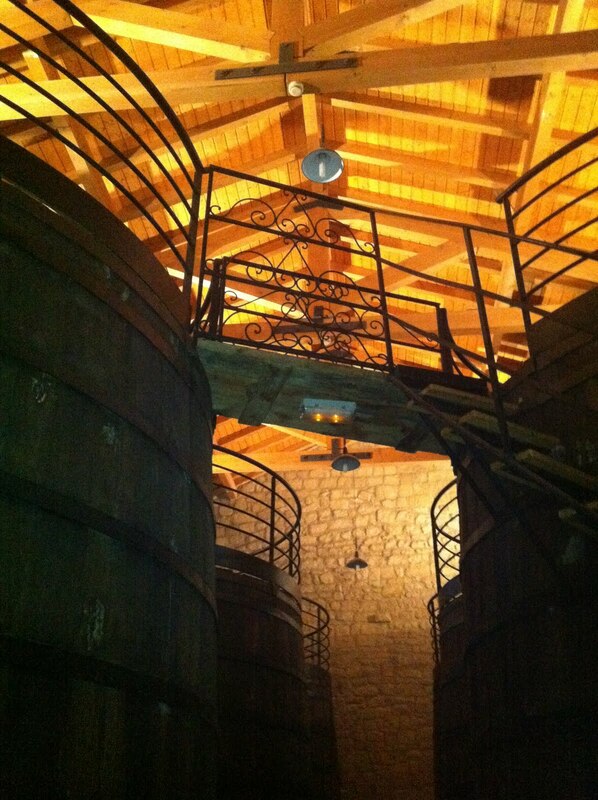 It was quite a contrast to Tondonia, but what made it extremely interesting was that although they work with the same equipment (100% oak vats and barrels), they use new oak and the winemaking process is very modern, creating a modern style of Rioja. The Muga estate was created by Isaac Muga Martínez and his wife, Auro Caño in 1932. 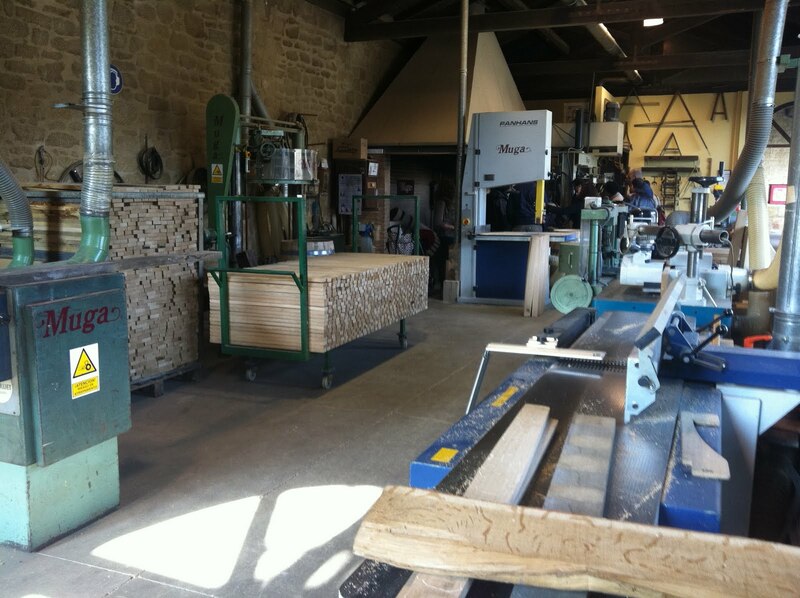 It was left to their three children who constructed a new winery, a cooperage and a viewing tower (why not?). We visited the immaculate fermentation and ageing cellars and I was pleased to see that although they were working with traditional equipment, they had – unlike Tondonia – put up some handrails on the vat top walkways! 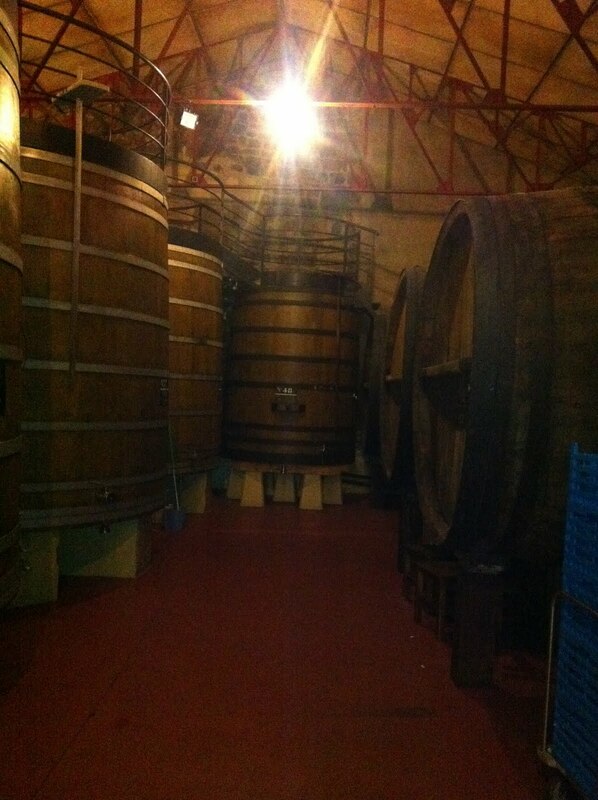 Like Tondonia, we walked through endless barrel rooms until we reached the cooperage. 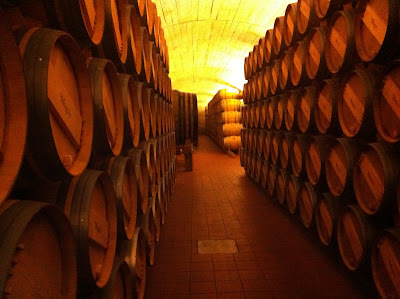 The cooperage is essential to providing a constant supply of oak barrels to the winery and the meticulous work and knowledge they have from forest to finished barrel is quite impressive. The tasting of the Muga range was very impressive, as was the food that just kept on coming … but even more impressive was that our request of declining lunch five times was completely ignored: you have to love Spain! We finally left after a wonderful tasting and lunch and now it was direction France and home to Bordeaux. 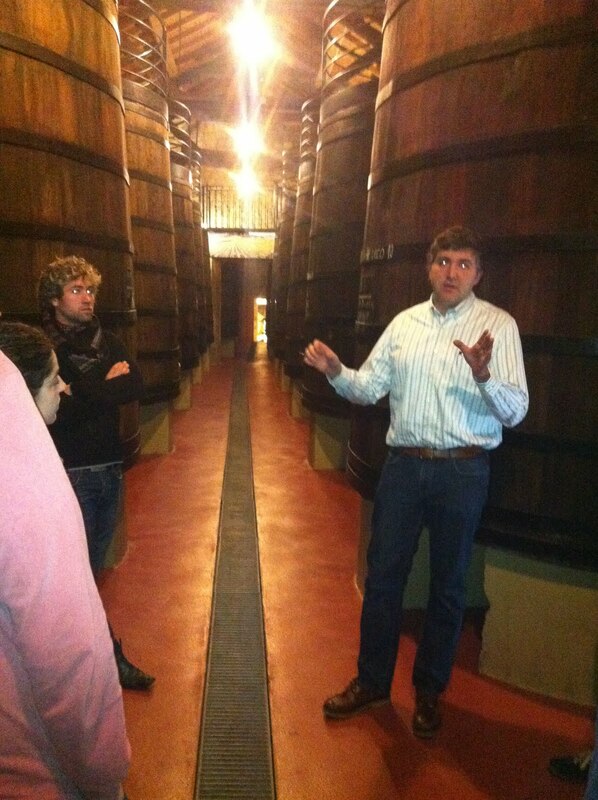 I certainly recommend a visit to Bodegas Muga if you’re in the area.